The European Marine Energy Centre (EMEC) is leading on the ‘Type Certification of Existing Tidal Power Technologies’ work package for the MET-CERTIFIED project. The aim of this work package is to assist in the development of a suite of internationally recognised standards by testing developing technical specifications in a systematic way with existing pilot projects in the marine renewable industry. The International Electrotechnical Commission (IEC) is seeking input from certification bodies including DNV-GL and Lloyds Register and Test Labs such as EMEC to develop testing and certification methodologies into a certification scheme for tidal energy convertors (TEC). Ultimately, the project will review current best practice in marine energy testing to inform and improve specifications, aiding their development into standards and enable certification. EMEC are focused particularly on the implementation of IEC’s ‘Technical Specification 62600-200:2013 Electricity Producing Tidal Energy Converters - Power Performance Assessment’, which requires the collection of resource and power generation data to evaluate the performance of tidal energy devices. Within the project so far, EMEC has coordinated the data collection campaigns for performance tests on Tocardo’s temporary foundation system (TFS), which was tested at EMEC’s grid-connected tidal test site throughout 2017. Having monitored the resource of tidal velocities (speed) at these sites, EMEC have been able to generate a power curve which shows for a given tidal speed how much electric power the TEC will generate. EMEC are now collecting data on Sustainable Marine Energy (SME)’s PLAT-I tidal energy system, which is currently deployed at Connel, near Oban. These devices have been deployed at different locations with different rotor configurations and mooring arrangements, so it is important that the technical specifications can cope with these differences and still be applied effectively and equitably. The purpose of MET-CERTIFIED is to ensure that is the case. EMEC will collate the data which has now been collected and develop a report providing essential feedback to Tocardo on applying IEC’s technical specifications for the resource characteristics, device performance and acoustic monitoring which was undertaken before and during the deployment. The collection of resource data remains underway for SME’s device which will enable EMEC to independently review their device performance. 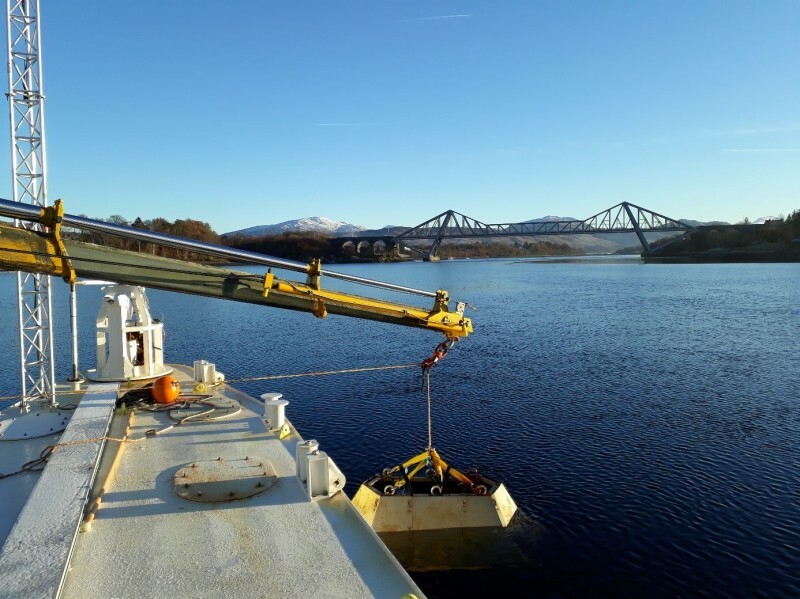 EMEC have deployed an acoustic doppler current profiler (ADCP) at Connel to measure the tidal speed, in which the results can then be compared to other speed measurement instruments SME and their research partners have deployed around their device. This will enable the evaluation of advantages and disadvantages of different measurement techniques which will inform best practice. As well as providing independent feedback to the developers, EMEC will be providing feedback to the IEC on the learning established from applying IEC’s technical specification to tidal energy convertors. This will lead to the refinement of IEC’s technical specifications which aims to ensure that the specifications are practical, applicable to a range of TEC devices and ultimately reflect best practice. This will enable a certification scheme to be developed which will reduce the risks and consequentially insurance and finance costs in the sector.